The Boston area Society of Women Engineers is sponsoring an ALL GIRLS FIRST LEGO League team for 2013. 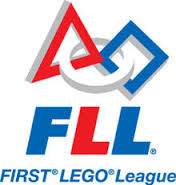 FIRST LEGO League (FLL) is an international program that allows kids to design, build, and program their own robots. Flexing their creativity, innovation, and teamwork skills, students work together to solve engineering problems. Each year, the project theme and challenge focus on a “real-world” problem. This year, teams from around the globe will focus on NATURE’S FURY! Our team will explore the awe-inspiring storms, quakes, waves and more that we call natural disasters. Teams will discover what can be done when intense natural events meet the places people live, work, and play. The FLL program incorporates two projects: a robotics challenge and a group presentation based on the year's theme.